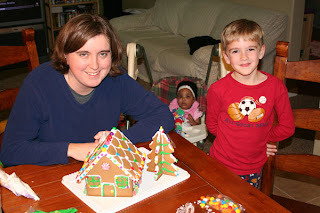 We have always thought that it would be fun to build a gingerbread house and so this year, we actually did it. 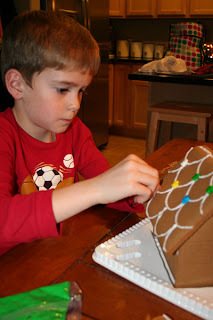 We cheated and bought a kit with pre-made gingerbread, but we had a lot of fun. I think this might just be our newest holiday tradition. 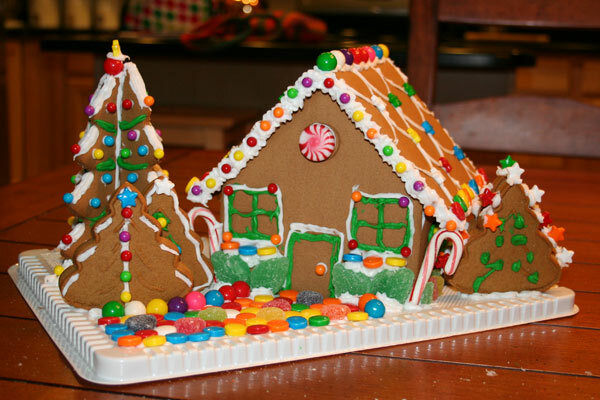 Maybe next year we will even try to make one from scratch, or maybe not. 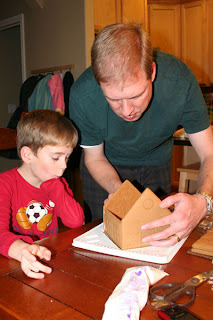 Here is Kirk and Robby building the structure of the house. One of the few pictures you will see of me since I am always the one behind the camera. And here it is, our finished work of art. I need to work on my piping skills just a little, but hey I've got lots of years ahead of me to master it.